“Unmanned Aerial Vehicles (UAV) have become a popular instrument for a wide range of emerging applications such as mapping, search & rescue, infrastructure monitoring, precision farming, transportation, just to mention some of them. The UAV market has overcome 130 B$ value in the last year (source PWC report 2017) and the trend looks extremely promising for the upcoming years too. The economic boom has boosted the scientific and technological development of UAV technologies in the last decade. In this context, UAV-g was initiated in 2011 as the largest scientific event dedicated to UAV in Geomatics and Remote Sensing. In the different editions, the new scientific challenges have made more evident the need for an inter-disciplinary approach leading to stronger synergies with adjacent disciplines. The ambition of UAV-g 2019 is to bring together experts from different domains such as remote sensing, robotics, computer vision, aerospace engineering as well as UAV user communities. 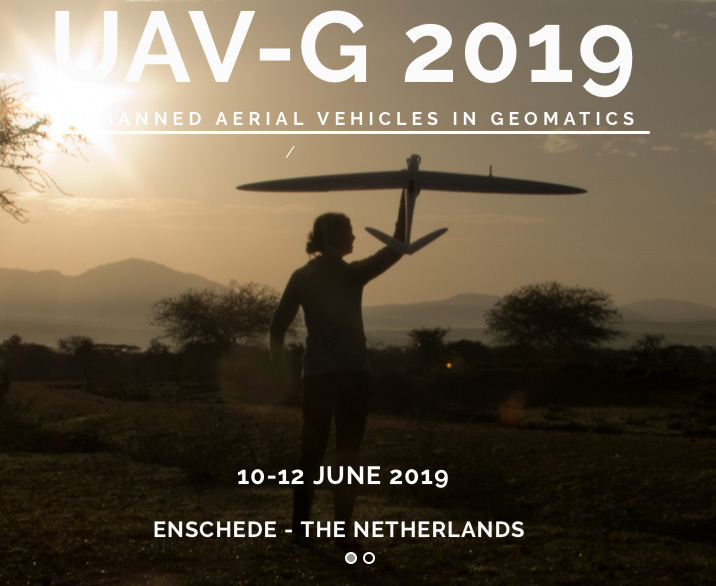 UAV-g is the common house of all these experts where they can create synergies, learn about the recent developments and exchange views on the future directions of UAV research, applications and services. Researchers, developers, service and platform providers as well as end users are therefore invited to participate in UAV-g and contribute with presentations, posters, discussions and demonstrations to create synergies between researches and applications on unmanned platforms.